The Manta Ray Awareness Program aims to protect manta ray populations in Hawaii, to help preserve the beauty and diversity of Hawaii’s coastlines, while educating the public and thus benefiting the people, visitors and economy of Hawaii. Manta rays are an integral part of Hawaii’s marine ecosystem and are essential in promoting and sustaining Hawaii’s growing marine tourism industry, one of the states primary sources of revenue. Manta ray night dive operations off Kona, Hawaii, produce over 2.5 million dollars in revenue annually for this small community. 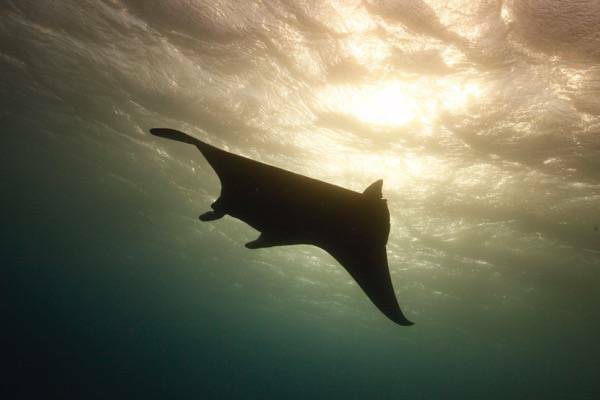 However, sustainability is the key to long-term prosperity for both the manta rays and the community. 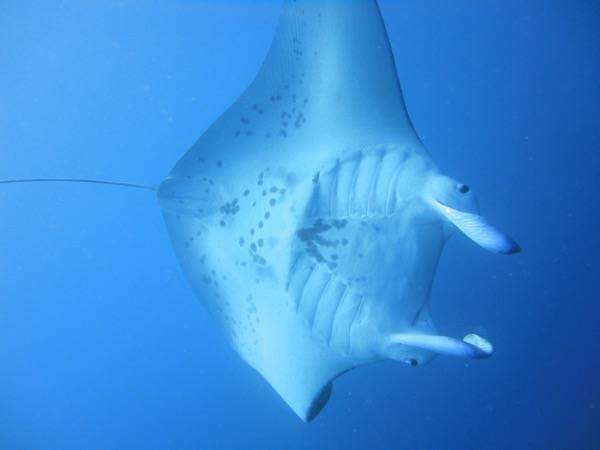 A recent demand in East Asia for manta ray gill arches to be used in medicine poses the greatest immediate threat to the manta rays. This has caused a dramatic increase in fishing pressure throughout Southeast Asia and Eastern Africa and has led to significant population declines in the Philippines, Mexico, Sri Lanka, India and Indonesia. Since June 5th, 2009, a law was passed making it illegal to knowingly kill or capture a manta ray in Hawaii State waters. Without such a law, Hawaii’s small, island-associated populations could be severely threatened. Hawaii’s marine life not only defines the beauty of Hawaii but it is also at the center of Hawaii’s economy. Hawaii possesses 85% of all U.S. coral reefs. These reefs, and the animals they support, are attracting nearly 4 million visitors to Hawaii each year. Manta rays are known to congregate in very specific locations around Maui’s shallow water reefs. Over the years, commercial dive operators have abstained from capitalizing on these unique areas primarily for the protection of these awe-inspiring animals and their surrounding habitats. Manta rays inhabiting inshore habitats around populated areas of Hawaii are also vulnerable to pollution, coastal development and eco-tourism. What impacts these man-made threats are having are unknown. Manta rays have very slow growing populations with limited capability to re-establish themselves if their numbers were to decline. The lack of protection for manta rays globally and locally is directly linked to the lack of information about this species. The World Conservation Union categorizes manta rays as “data deficient”, preventing an accurate assessment of the risk posed by target fisheries and other man made threats. The Manta Ray Awareness Program is designed to vastly improve this information deficiency over the next few years by providing a better understanding of population sizes, population demographics, social behavior, habitat range, and habitat needs. 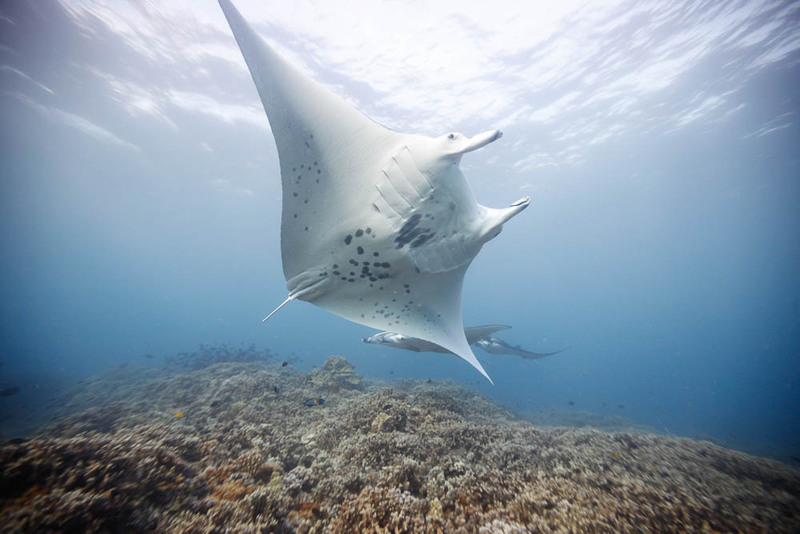 The first strategy focuses directly on obtaining baseline information about population abundances, movements, demographics and social behavior of manta rays in Maui. These variables will be monitored for changes over time. The second strategy focuses on understanding the characteristics of the habitats they choose, and how abundant these habitats are throughout Maui. The health of these habitats also will be monitored over time. The third strategy focuses on education. Sustainable co-habitation of both the people and the manta rays requires that the commercial tour operators, management agencies, children, and the general public be educated about the animals and their habitats. Only by changing their awareness can we change their behavior. Efforts to sustain the beauty and diversity of Hawaii’s coastlines benefit the people, visitors, and economy of Hawaii. 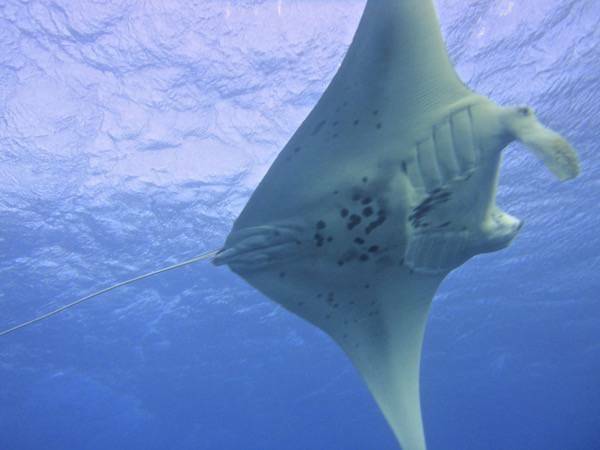 To date, 323 individual manta rays have been identified in Maui County waters. Each individual can be identified by its unique pattern of spots, visible on its ventral surface. Of these, 163 have been sized using a technique known as paired-laser photogrammetry. By matching new photographs with previous photographs, a life history for each individual manta ray can be created. Matched photographs or ‘resights’ over time can tell us valuable information about the manta ray’s home range, fidelity to specific areas, social bonds with other manta rays, pupping rates for adult females, and other interesting facts.